The increase of the number of migrants arriving to Greek islands from Turkey has alarmed residents and Greek authorities, as a total 566 asylum seekers landed on Lesvos, Chios and Samos since Thursday. The majority of migrants arrived on the northern Aegean island of Chios (341), with 195 landing on Lesvos and 30 on Samos. 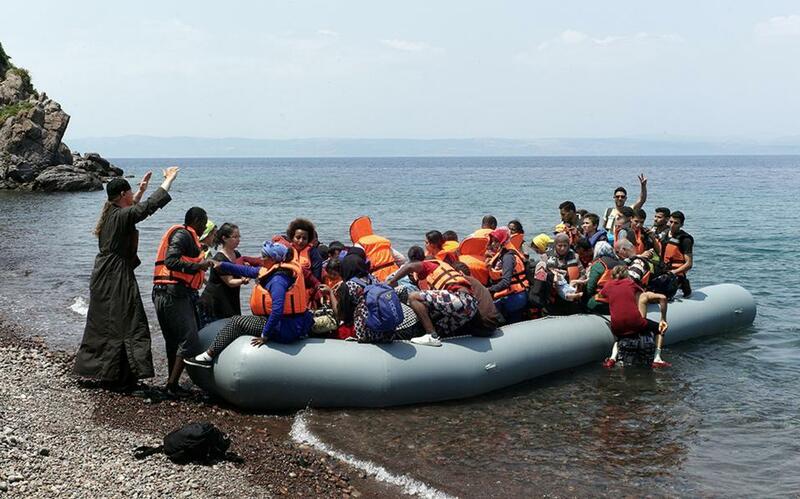 According to the Northern Aegean General Police Directorate, the latest numbers of asylum seekers on the three islands are 3,485 on Lesvos, 3,541 on Chios and 1,733 on Samos. The recent arrivals brought the number of those stranded on the Greek islands back to February’s figures, despite the fact that a number of them had been sent back to Turkey as per the EU-Ankara deal. Greek officials attribute the increase in the number of migrants to the good weather conditions and the fact that Greece and Turkey withdrew many of their ships from the Aegean, due to recent tension between the two countries.